The Nike LeBron 15 Pride of Ohio made is debut on October 17th at a pop-up shop in Cleveland, Ohio, introducing LeBron to his 15th season. Dressed in a Black and Taupe Grey color scheme. 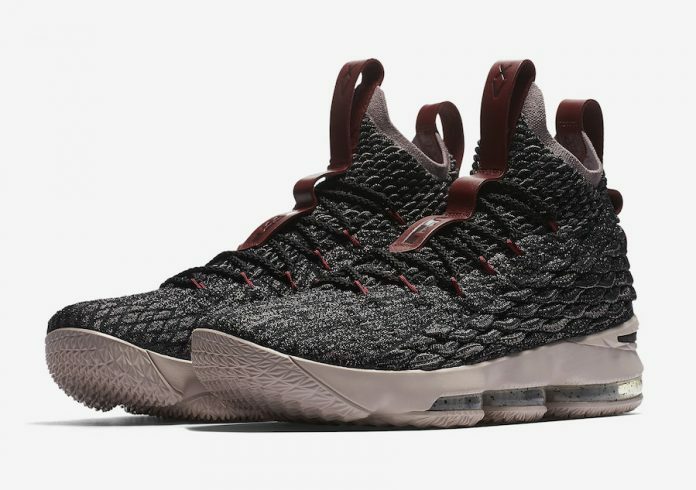 The Nike LeBron 15 features a BattleKnit upper and a powerful combination of cushioning designed to meet the demands of explosive players. Additional details includes Ohio’s area code “216” embossed on the inner tongue tabs. Look for a wider release of the “Pride of Ohio” Nike LeBron 15 to become available on November 18th. The retail price tag is set at $185 USD. For those looking for pairs now, you can find sizes available via eBay. UPDATE: Nike releases official photos of the “Pride of Ohio” LeBron 15.